An archipelago of over 7100 islands, its unsurprising that island hopping made it to the top of our Philippines bucket list. 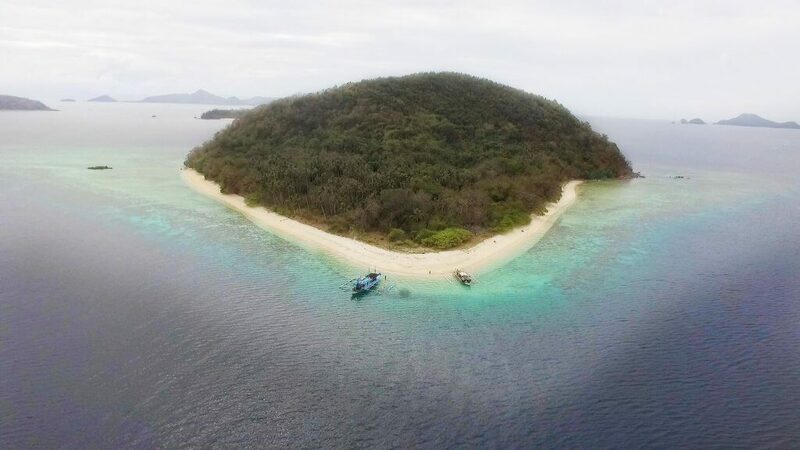 As we planned our two-month itinerary, we sought after remote beaches, delicate sandbars, and uninhabited islands – our idea of paradise. 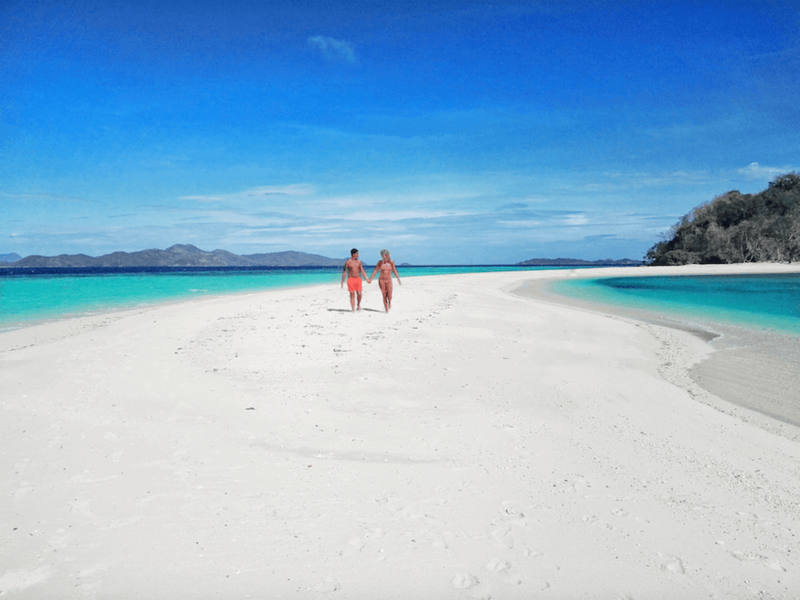 Every internet search and blogger returned with recommendations for El Nido and Coron in Palawan, which is unsurprising as the two are often named as having some of the best beaches in the world. 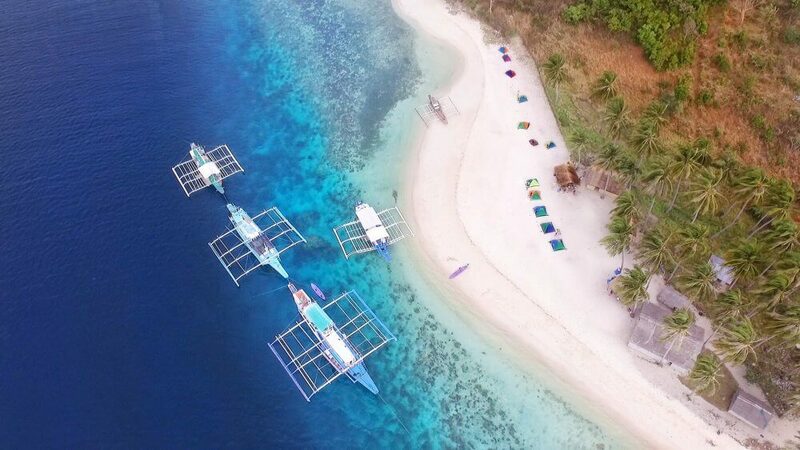 Arriving in Coron, we were keen to dive in what is known as the shipwreck capital of the world, jet ski amongst the mangroves at Sangat Island (check out our drone footage here) and explore the quaint town of Coron. Other items on our bucket list for the area included the freshwater lakes of Barracuda and Kayangan and swimming in the twin lagoons, all of which could be booked through one of the many tour operators in the town. 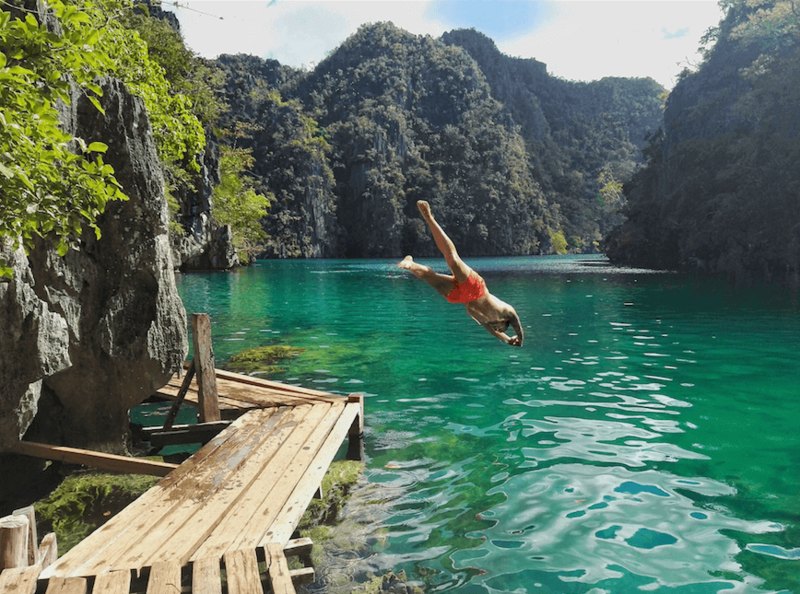 Having spent a few days in Coron, it quickly became apparent that these tours, although good value, are heavily oversubscribed and you will more than likely be more overwhelmed by the bright orange lifejackets bobbing in the water than you will be the surroundings. Although undeniably stunning and picturesque, a lot must be left to the imagination as the tours follow a beaten path. This disappointment left us craving something a little more authentic and a journey into the unknown. Having asked around in the town, we were told of several smaller independent companies whom organize trips every few days between Coron and El Nido. Although more expensive than the average tour, it was worth every penny. You do not want to miss the drone footage of our incredible trip right here to put the remainder of this article into perspective! Setting sail only a small group of us on an authentic Philippino boat, meandering amongst the small islands between Coron and El Nido. Stopping throughout the day on several virgin islands and stunning sandbars, we were awash with relief to find our group the only ones ashore. As we roamed the desolate beaches, the soft powder hugging our feet, palms swiftly waving back and forth, wind in the air and salt in our hair, it was a gentle reminder of what little space we actually occupy in the Philippines, let alone the world! Making ourselves comfortable, we sprawled ourselves across the roof deck of our boat. The only sounds, those of the waves as the sun beat down on us. Looking ahead we noticed a gorgeous sandbar rising from the depths. In total awe of its beauty we watched our boat drew closer. As our crew dropped the anchor overboard we were presented with an amazing lunch. 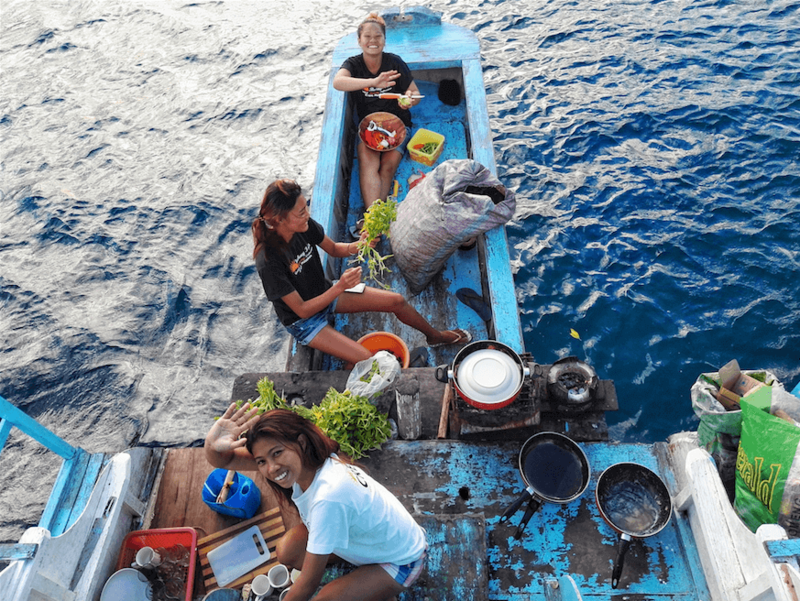 Fresh Grouper caught from the back of the boat, handfuls of delicious mussels and prawns, sweet vegetables and salads and a vast array of fruit, who knew we’d be eating like Kings and Queens, especially at sea! Like the morning, our afternoon was spent admiring the army of islands that passed our boat. As we set up camp for the night on the beach, we were treated to the sound of karaoke coming from a house in a nearby village. Having polished off another beautiful meal, we followed the sounds and were invited into the home of a family to join them for a spot of singing. As we sang our way through the night, we realized that these were the experiences we had been craving, it doesn’t get much more authentic than this. Our second day was spent much like the first. Setting our alarms early, we watched in awe as the sun rose behind the horizon whilst tucking into an enormous breakfast. Looking up at the palm trees, we noticed our guide had climbed his way to the top and was collecting fresh coconuts for each guest to enjoy. Back on the boat, the transparent waters invited us to take a dip. Snorkel in hand; we were treated to some of the most beautiful schools of fish and untouched coral reefs we had ever laid eyes upon, justifying the areas title as having the worlds cleanest water and rivalling our experience swimming with whale sharks! Our final night was to be spent in a cosy wooden beach hut that had been constructed by local villagers. Upon our arrival to the shore, we were warmly greeted and presented with an entire hog roast in which we would feast for dinner and breakfast along with a variety of fresh fish that had again been caught by the crew. Surf and turf in its most authentic form! The expedition far exceeded our expectations. Taking us off the beaten path and away from those orange life jackets that we never want to be accustomed too again! 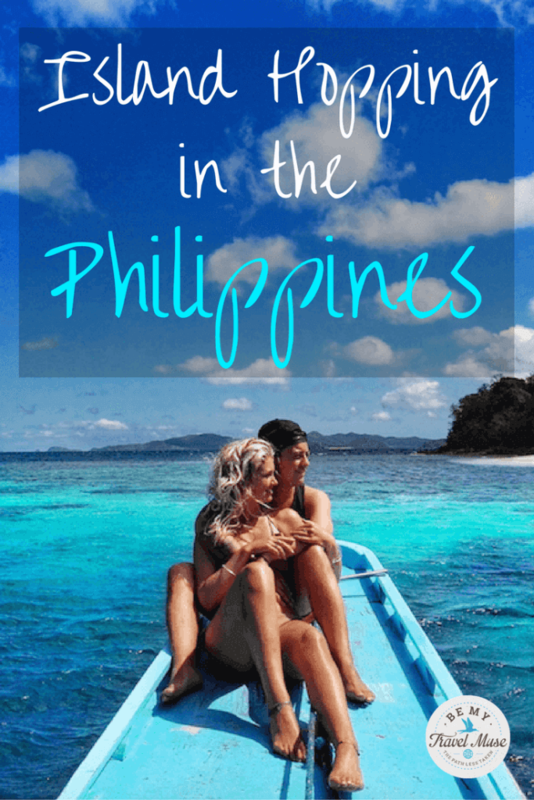 We were touched to be introduced to the most untouched parts of the Philippines and get a slice of island life, even if just for a few days! This was truly the only real way to see the natural beauty of the Philippines and the highlight of our trip. About the Authors: Charlie and Charlotte are the wanderlusting couple behind The Wanderlovers. They have swapped their city life in London for an action packed journey across the globe. Hand in hand, they’re taking on one country at a time and creating a life they don’t wish to escape from! 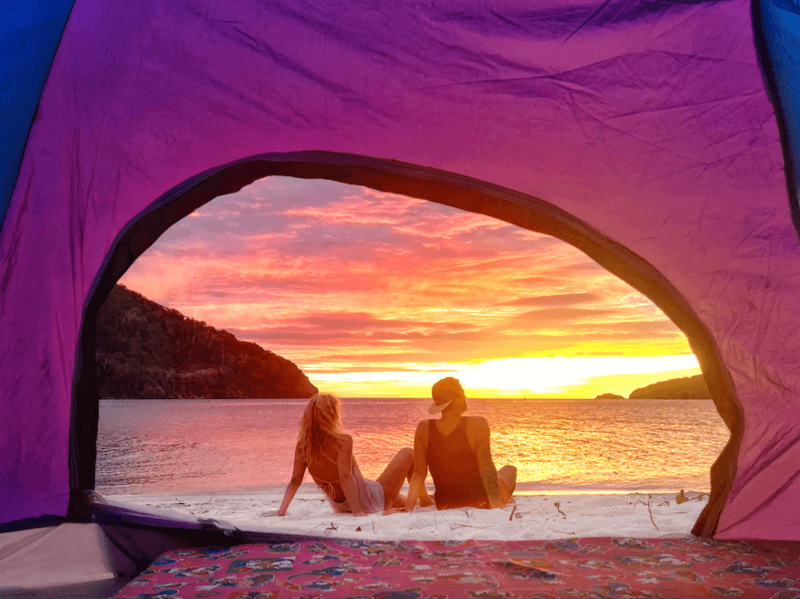 Through their couple’s travel and lifestyle blog they hope to inspire future travellers that anything is possible if you just buy that one way ticket … Go Live! Ohhhh…I can’t wait to see the Philippines! Awesome video..too. Hi! Can you tell us the name of the tour company that you used for your Palawan adventure? It was so long ago, I just booked them through my guesthouse I think it was just a few guys with a boat and some life jackets and snorkels honestly. Your photos are beautiful and your drone video rocks! We’ve been to El Nido and the views there were amazing, and the island is rich in marine life as well. We’re headed to Dumaguete this December and swing by Siquijor and Oslob. 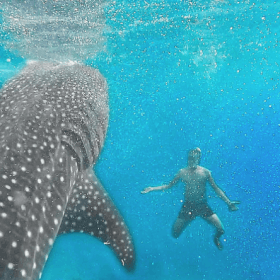 We’re still mulling over swimming with the whale sharks, but your photo looks like it’s super fun. I have been enjoying reading your blogs very much, thank you! There is so much great advise and information in all of them and certainly it is going to help me to travel wiser. My next solo adventure is about to start next month and i am in a process of organizing it in detail. Would you mind sharing with me how did you book your multi-day island hopping trip from El Nido, please? It has been on my Bucket List for quite a while after listening amazing stories about that place from friends who visited Palawan. I would be so grateful and thank you for doing what you do. this sounds perfect.. how many other people were on the boat with you?? I think there were 8 of us.